Students drop out of universities in large numbers, many graduate to jobs that do not require a degree and a large number learn little at university, whilst graduate salaries have shrunk over time and student loan debt and default have grown. University research achievements have declined while university administration has expanded massively. The contemporary university is mired in auditing, regulation, waste and aimlessness and its contribution to serious social innovation has deteriorated markedly. The miserable state of the universities reflects a larger social reality, as bureaucratic capitalism has replaced creative capitalism. Universities and Innovation Economies examines the rise and fall of the mass university and post-industrial society, considering how we might revitalize economic and intellectual creativity. Looking to a much more inventive social and economic paradigm to drive long-term growth, the author argues for a smaller, leaner, more effective university model - one capable of delivering a greater degree of high-level discovery and creative power. 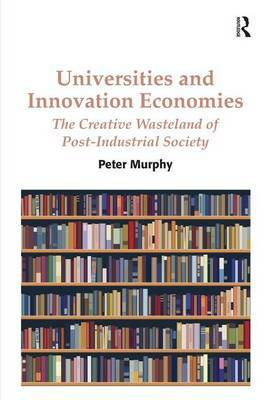 A potent critique of the post-industrial mass university that urges a reimagination of universities as places of discovery and invention, this book will appeal to readers interested in higher education, creativity, social theory, the sociology of work and organisations, political economy, pedagogy and public policy.